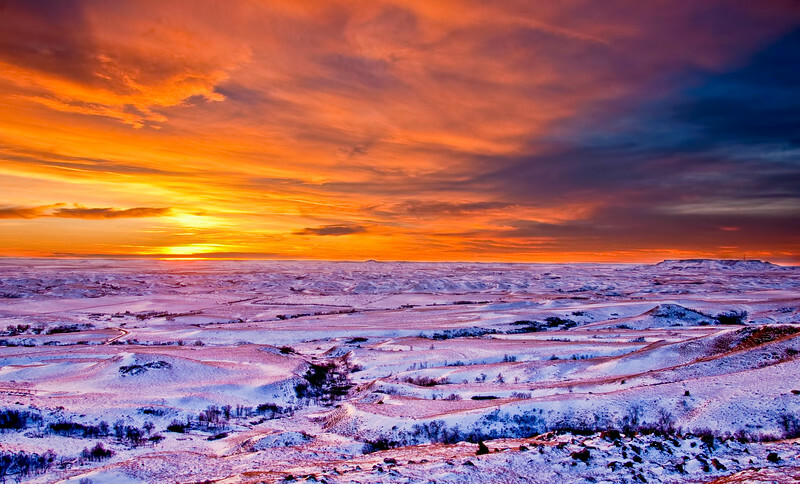 Sunset from Square Butte, south of Medora looking toward Sentinel Butte. You can own this image. It looks great printed on metal, highly reflective. Other products are available. Just click the 'buy' button to browse available products.